That was my solution when I was supposed to take medicine when I was sick as a kid. I didn’t like the taste and my poor parents would have to chase me down to get me to take it. Fast forward a lot of years (more than I’d like to admit) and it is a much different story when I have to get my kids to take remedies when they are sick. They actually love it, and beg for it, and wish they could take it all the time! Especially when it is elderberry syrup! Recently, I was making two of my kids’ favorite things on the same day: elderberry syrup and homemade marshmallows. I had some extra elderberry liquid from making the elderberry syrup and had a great idea: elderberry marshmallows. 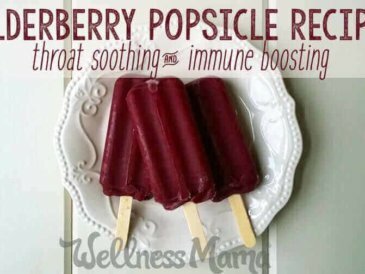 The result was a light purple, delicious, and immune-boosting treat that my kids love! The only unusual ingredient you need to make these is elderberries. I personally buy organic elderberries from a trusted source. Here are the ones I use. In some areas, you can even grow or wildcraft your own elderberries. 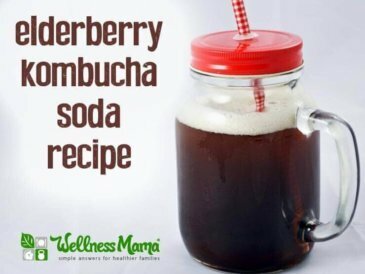 Just make sure to only use the berries and to remove even tiny pieces of the stems and leaves, as these are not beneficial and can be toxic if eaten. 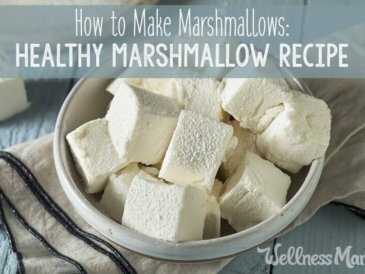 You’ll also need gelatin to help the marshmallows reach the right texture. I use a pasture raised high-quality gelatin. For this recipe, you will need actual gelatin (not collagen powder) for its ability to “gel.” I get it here – it is the one called “beef gelatin” in the green can. 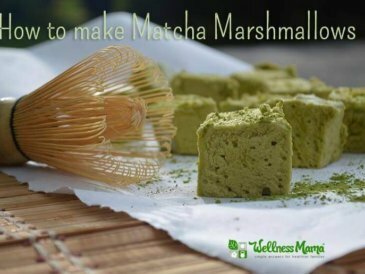 Many people don’t realize that it is super easy to make marshmallows. They won’t be the artificially stiff and sickeningly sweet ones you will find at the store, but they will be better in my opinion. The only ingredients needed are water, gelatin, honey/syrup, and in this case, elderberries and optional spices. 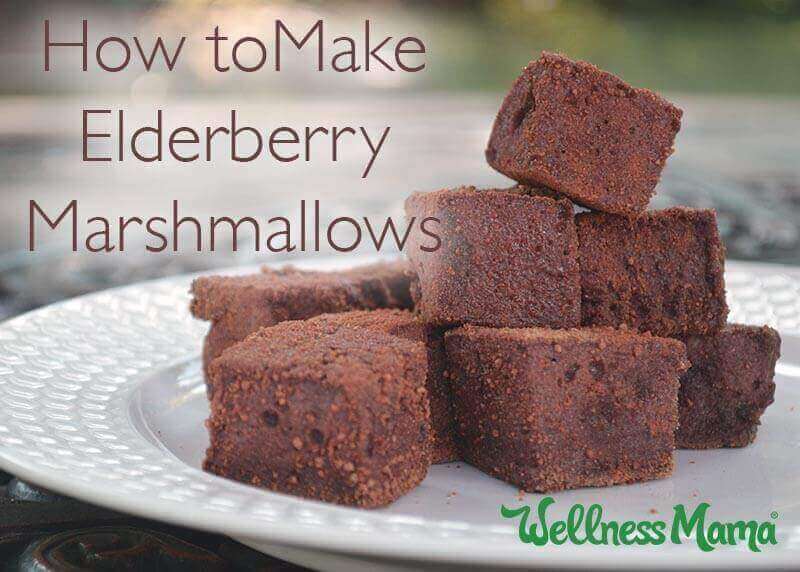 Simple immune-boosting marshmallows with a hint of elderberry. These are a kid favorite in our house and I love that they get vitamins + an immune boost! Bring the dried elderberries, spices (if using), and the water to a boil in a small pan. Simmer for 5-10 minutes. 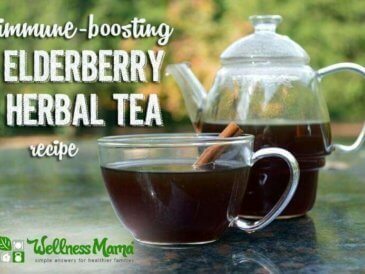 Strain out the elderberries and spices and measure out 1 cup of the resulting liquid. 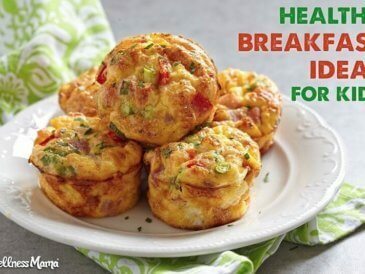 Put ½ cup of the liquid in a mixer bowl, or large bowl if using a hand mixer, and add the gelatin powder. Mix lightly to incorporate and set aside. Combine the remaining ½ cup of liquid and the honey or maple syrup in a saucepan. Slowly bring the water and honey mixture to a boil. If you have a kitchen thermometer, you want it to reach at least 240 degrees. If not, just keep boiling, stirring constantly for about 5 minutes. Remove from heat. Turn on mixer with gelatin mixture to medium speed ans whisk while slowly pouring the honey/water mixture into the mixing bowl with the gelatin mix (which will be hardened by now). When add honey mix is added, turn the mixer to high and whisk for another 10-15 minutes or until it forms a stiff cream the consistency of marshmallow cream. It should form soft peaks. Grease a 9x13 inch baking dish with coconut oil, or line with parchment paper, leaving some on the sides to be able to pull up. Let rest at least 4 hours (overnight is better). Flip on to a cutting board and cut with a well oiled pizza cutter or knife. Dust with cinnamon powder and/or coconut sugar if desired to keep from being sticky. Do NOT store in the refrigerator, as they will melt. Store in an airtight container at room temperature. Will keep 3-4 days. Ever made marshmallows? If not- give it a try!